Dr. Chu did the cleaning. He's quick and thorough. His staff is efficient and runs the office well. Ninfa is thedental assistant. She is very efficient and professional. Dr. Chu did the cleaning. He's quick and thorough. His staff is efficient and runs the office well. Ninfa is the dental assistant. She is very efficient and professional. Dr. Chu is a true native Texan! He grew up in the Houston area until he attended the University of Texas at Austin (90-93). He then graduated from Texas A&M University Baylor College of Dentistry in Dallas (93-97) and obtained his MBA from Texas Tech University in Lubbock (09-11). He also attended a rigorous General Practice Residency program in New York City at St. Barnabas Hospital in Bronx, NY (97-98). His staff takes great pride in their care and understanding of the needs of their patients. They have been specially trained to assist patients in their pre-operative evaluations and insurance pre-determination. 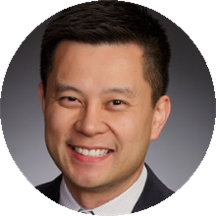 Dr. Chu's team is well versed in answering patient questions and complimenting the doctor's high level of care and concern. Please note, our Red Bluff location is able to assist Spanish speaking patients. Mr.Chu was very professional and I would recommend his service to any body!!!!! He told me exactly what was going to be done and insured me that I had options but too look at my long term smile. I will be coming back to this dentist after not being able to go to onefor so long because of a bad experience. Thank you. Your stern tone and knowledgeable answers kept me from not freaking out!! Dr. Chu always exceeds my expectations. I leave his office feeling like I have the best smile in the world. People constantly talk about how pretty my teeth are. I thank him every time I see him. He is a perfectionist and does great work. I absolutely loved my visit. I have worked with many dentist over the years and he is one of the most detaile oriented of them all. He’s very confident and I think he’s also a perfectionists. Has always been very honest and polite. Receptionist is sweetheart. My appointment with Dr. Chu was fantastic. Dr. Chu and staff are professional, courteous and efficient. I'm a very satisfied patient and look forward to my next visit. At first I was scared and nervous because it was my first time they were gonna extract my wisdom teeth out. As soon as I got there they took me in and started working on me. I thought it was goingto hurt but it didn't, because the dentis knew what he was doing and everything went well than what I expected. Visit was smooth and painless - Dr. Chu was thorough with advice and treatment plans - the staff member there was extremely friendly and professional - overall a great experience. It took me awhile to find a great dentist in Houston, especially one who was able to pull all my wisdom teeth. There was no wait once I arrived and they made me feel extremely comfortable. The surgery went by sofast. My appointment was at 11am and I left at 11:58. I highly recommend Dr.Chu and assistant they were excellent and very patient. I will definitely continue going to him! attentive & alert.... the whole crew! Doctor Chu always performs exceptional work and makes certain both he and his patients are pleased with the final work. He is very timely and is ready to get started at your appointment time. He puts you at ease and isreasonable with his prices. I call him my favorite dentist. His assistant is the greatest and if I was rating her, she would get the best possible rating as well. My visit for a deep clean went very well and smooth for a first time patient. I moved across town and my new work dental insurance was not accepted by my childhood dentist so I made the switch. I am morethan happy I chose Dr. Chu. I was out of there in no time. Everything you could want from a dentist's office. Justin makes needle sticks painless. Best experience I ever have with any dentist. I highly recommend Dr. Dan Chu. I have been several times over the past couple of years and they always do an outstanding job cleaning, examining my teeth and the procedure for my dental Implants. The team always gets me in and out of the office exactly on time! Had a traumatic experience having my wisdom teeth removed. Staff were confident and reassuring. It wasn't pleasant - but we got through it together. If you are able to handle the trauma - get the same procedure done under local anesthetic.In and out in 75 mins. Not for the faint hearted.n Dr Chu was always checking in with me and felt like had me as priority. Top man! Dr Chu is a great dentist and I recommend him to everyone I know.